Handcrafted from the finest materials to produce the finest possible instrument for players of every level. 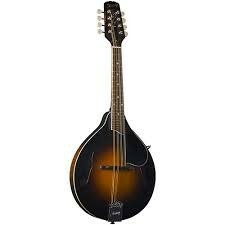 Every Kentucky Artist mandolin, like this KM-250 Deluxe A-Model, is meticulously handcrafted from the finest materials to produce the finest possible instrument for players of every level. The redesigned KM-250 Artist A-model features upgraded woods and specifications throughout, we can offer the serious player some of the finest new instruments whose rich tone and quick response continues to improve as the instrument ages. Once again setting the standard for quality and value. Available in traditional sunburst.